Bishop Peter Baker matriculated to Durham in 1978 to attend Duke University for his undergraduate studies. In spite of his life mimicking the prodigal son, he stayed true to the text in Proverbs that his parents believed in, "train a child...won't depart from it." In this, he eventually turned back to his roots. Upon turning his focus to his Christian walk, Bishop Baker was called into the ministry and subsequently licensed to preach on March 13, 1994 at the Orange Grove Missionary Baptist Church, Durham, NC. As an Associate Minister at Orange Grove, Bishop Baker served as Sunday school teacher, Prison ministry, Men’s Ministry, Singles’ Ministry, and was a Layperson’s Academy Instructor. He was Ordained on December 1, 1996, through the East Cedar Grove Baptist Association. He was then called to Pastor in November, 2002 at the New St. James Baptist Church, Timberlake, NC, where he also served as 2nd Vice-Moderator of the East Cedar Grove Baptist Association. Bishop Baker attended Duke and Shaw Universities for undergraduate work, earning his BA degree. His Theological studies were done at Shaw Divinity School, Apex Theological Seminary and Andersonville Theological Seminary. He earned his M.DIV and PhD- Theology from North Carolina Theological Seminary, Clinton, NC. In August of 2007, He became the Pastor and Founder of a Multi-racial, 5-fold Deliverance ministry called Reformation Christian Center in Roxboro, NC. This ministry has received over 175 members in 11 years - moving from a 2500 sq. feet facility to an over 13,000 square foot facility in June of 2017. Bishop Baker initiated a Hispanic Ministry in February of 2013, and will launched Blaze Ministries – Durham, North Carolina in March, 2019. He is under the Spiritual covering of Apostle Shirley Wade Anthony of the Repairer of the Breach Ministry where she is the CEO and founder of Kingdom Community International. 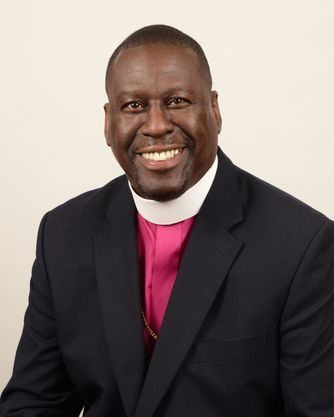 Bishop Baker is presently employed by the North Carolina Theological Seminary, Clinton, NC as Provost and owner/operator of Business as Unusual, a Co-working space, Roxboro, NC. Bishop Baker has two daughters Kristie and Shannon, 4 grandchildren and 1 great-grandchild. Joined RCC on May 10, 2009. Joined RCC on August 5, 2007.